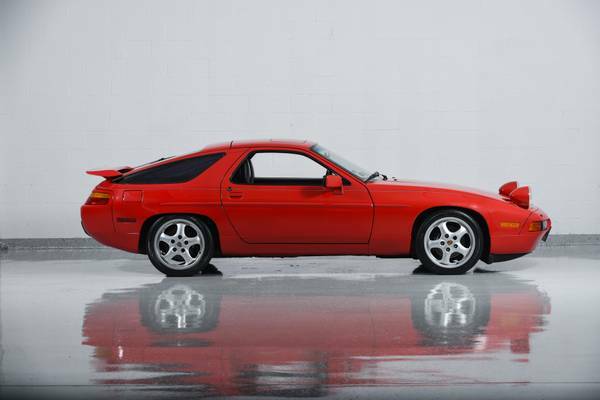 1988 Porsche 928 S4 for sale. 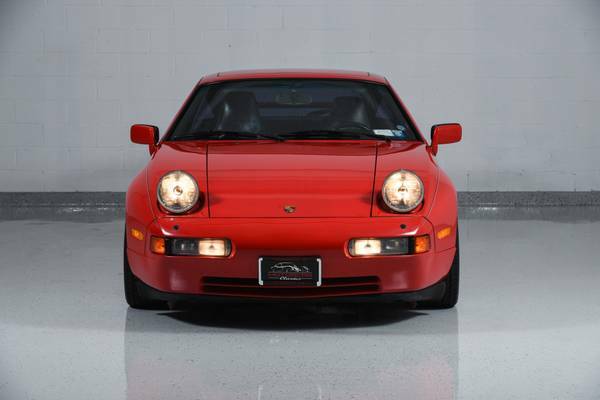 Beautiful 1988 Porsche 928 S4 featured in Guards Red with Black leather interior. 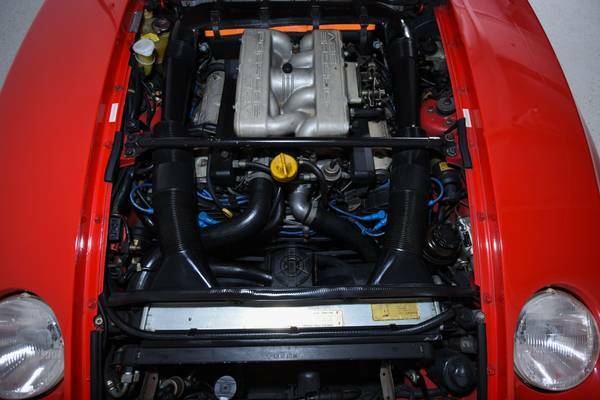 The 1988 S4 is powered by Porsche’s 316 HP 5.0L V8 with 4 valves per cylinder. 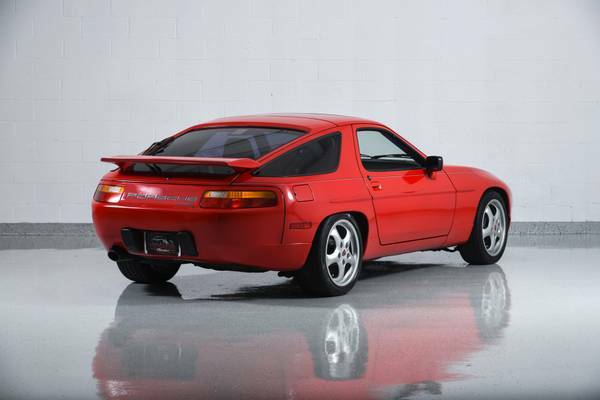 Like 80% of 928s, this car has the 4-speed, Mercedes-derived, automatic transmission that is well-suited to the torque V8 and GT nature of this fantastic 4-place Porsche. It has been in the hands of its third owner since 1999 and has a complete service history file since 1999. 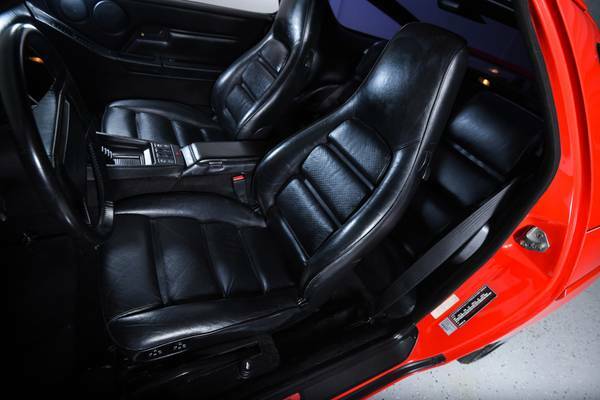 The paint and interior are all original, and in excellent condition. It has never been damaged or restored. It currently has about 81k miles, having covered about 27k miles since 1999. The wheels were updated to Porsche Cup wheels, and an updated radio with CD and Bluetooth were installed as well. Otherwise the car is original. The car runs and drives great and could be a delightful daily driver. 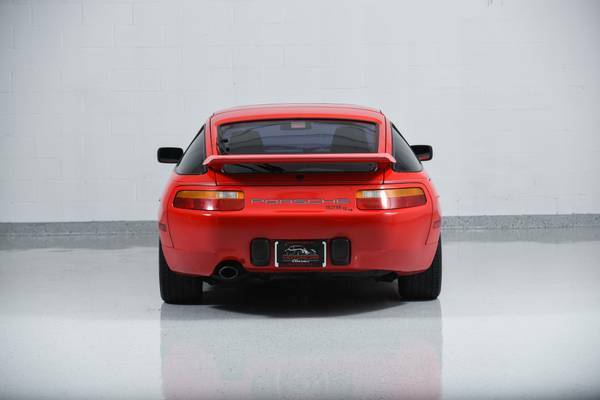 The 928 qualified as a 2+2, having two small seats in the rear. Both rear seats could be folded down to enlarge the luggage area, and both the front and rear seats had sun visors for occupants. The rear seats are small (due to the prominent transmission hump) and have very little leg room; they are only suitable for adults on very short trips or children. 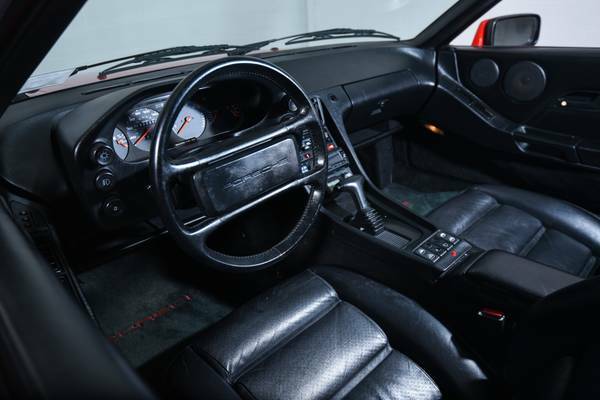 The 928 was also the first vehicle in which the instrument cluster moved along with the adjustable steering wheel in order to maintain maximum instrument visibility. 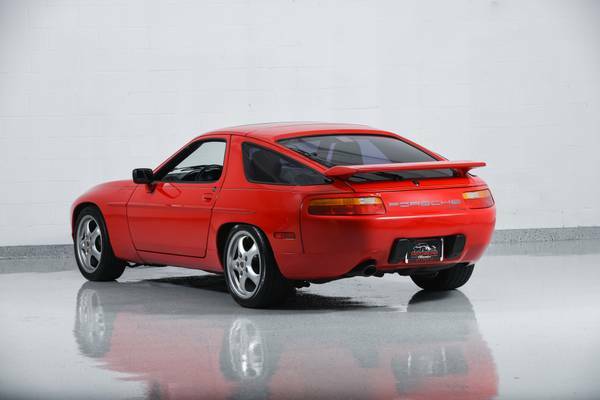 The 928 included several other innovations such as the “Weissach Axle”, a simple rear-wheel steering system that provides passive rear-wheel steering to increase stability while braking during a turn, and an unsleeved, silicon alloy engine block made of aluminum, which reduced weight and provided a highly durable cylinder bore. These cars are becoming collectible and this car has the benefits of being completely original and having a long-term service history.